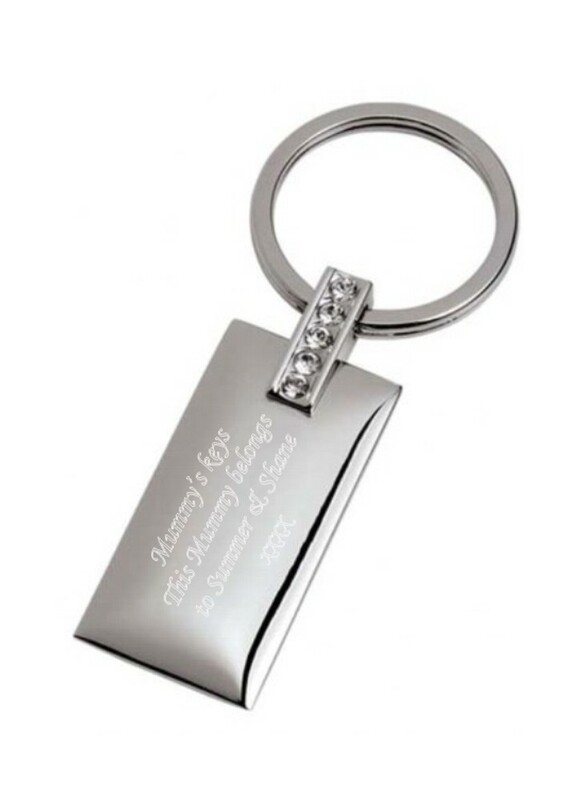 Personalised Engraved Highly Polished Chrome Rectangle Keyring with Crystals. Personalise this unique gift with your own special message or just keep it simple and have a name engraved. Both sides of the keyring can be engraved, the first side is included, the 2nd side has an additional charge. This unique gift measures 85 x 33 x 10 mm. Length includes the keychain.